This weeks Senior Sunday post focus’ on Groovy Paws Rescue in Norman, Oklahoma. 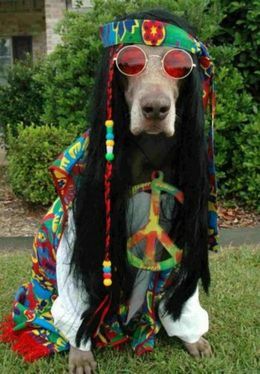 Groovy Paws Rescue, Inc. is a foster based rescue with foster homes throughout the Norman and Oklahoma City metro region. We rescue small breed and senior dogs from high kill shelters, ‘free to good home’ ads and others that come to us through owner surrenders. Our Mission is to save unwanted, homeless and abandoned small breed dogs and place them with safe, caring adoptive families. Additionally, to provide public education on the importance of spaying and neutering all pets to help control overpopulation. MicrochipGPR is incorporated as a nonprofit in the State of Oklahoma. We are not funded by state or municipal funding and only fund with monetary donations. Any and all of the costs of rescue beyond the adoption fee are covered by the rescuers and private donations. In the majority of cases, the adoption fee does not cover the full costs of rescue & care. Here are some, but certainly not all of the senior dogs currently available for adoption from Groovy Paws Rescue. Hi, my name is Goldie, and my foster mom says I’m absolutely adorable! Not to toot my own horn or anything, but I kind of agree with her (it’s the ears). 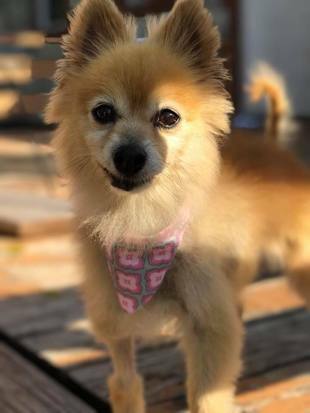 Goldie is about 10-years old, but her foster mom says she still has some puppy left in her, since she loves to run and play! Goldie is spayed, heart worm negative, micro chipped and up to date on all my shots (she even got her teeth cleaned!). Goldie loves adult people but she really does not like small kids. They move too fast for me and sometimes play a little rough. Goldie is not too sure about other dogs either as they are always getting in her space! Goldie would love to be your only dog and shower all her love on you! 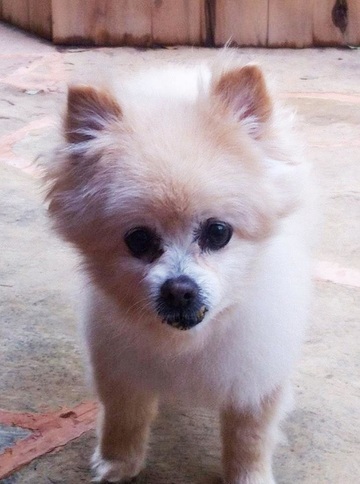 Patrick is a 13-year old, 11-pound, male Pomeranian. Patrick is neutered, current on all shots, heart worm negative and he has a micro chip. Patrick is a special needs senior. Patrick is currently on thyroid medicine, which he takes twice a day with his meals. He cannot walk down stairs, but going up a few is OK. Patrick is also very hard of hearing. Patrick is a great companion dog, he likes to be near his people, but mostly keeps to himself. He is quiet and enjoys a good long nap. Patrick is always on the lookout for a nibble and a comfy place to rest. Patrick does great with other dogs and cats. He is crate trained. He requires someone gentle because he is a little shy. Patrick is slowly warming up to his foster family’s touch. ​Patrick is looking for a patient and kind-hearted family to call his own. 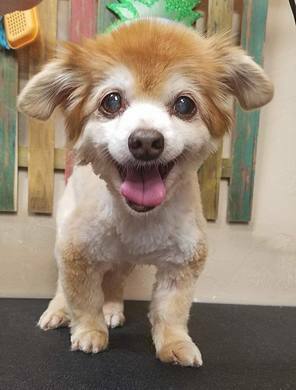 Gidget is about 10 years old and weighs about 12-pounds. Gidget is one of the 7 they rescued from a puppy mill in Illinois. Gidget is spayed, up to date on all my shots, heart worm negative and has a been micro-chipped. Gidget is pretty quiet and laid back. Gidget loves snuggling up with you and being held. But she also loves to lay on your bed or comfy blanket. Gidget may try to sneak treats from you. She love treats!! Gidget is still working on being potty trained, but does like to go out with everyone else out in the yard. Gidget tends to use the indoor puppy pads a lot. Gidget is crate trained to sleep in her crate at night. Gidget does well with other dogs, big and small and even cats. But Gidget does enjoy humans the most to follow them around and be in the same room as them. Gidget is a pretty healthy girl, she’s had a dental, but unfortunately they had to pull all her teeth. That doesn’t doesn’t stop me from eating my food. Gidget loves her dry kibble and soft treats!! 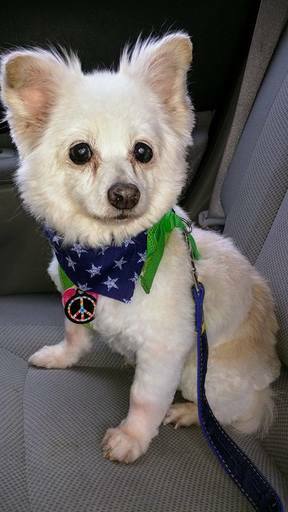 Ozzie is an 11-year old male Pomeranian who weighs about 9-pounds. Ozzie is neutered, current on all of my shots, heart worm negative and has been micro-chipped. Ozzie is a sweet and quiet boy. It makes him happy for his person to hold him in their lap and pet him. Ozzie gets along with other dogs and cats. Ozzie likes to go on car rides and go places. Ozzie don’t know much about toys and doesn’t demand much attention. Ozzie prefers to lie on my bed but will occasionally get his crate. Ozzie will let you know when he wants to go outside and especially when it is dinner time. Ozzie rarely barks, usually only to go outside or come back inside. Ozzie takes medication for his thyroid and eyes. Ozzie can see but has some blurriness. 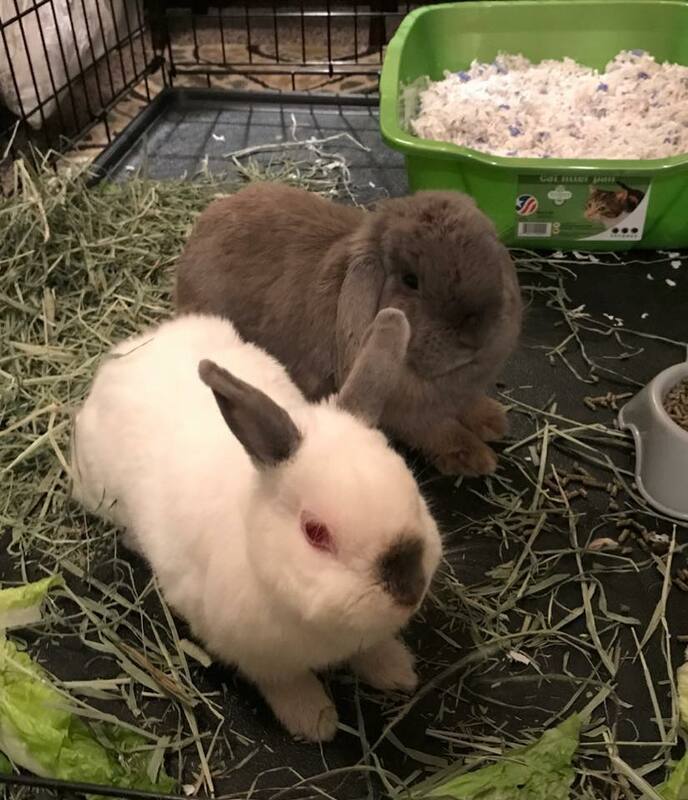 Groovy is a neutered male Holland Lop and Clover is a spayed female Himalayan Netherland Dwarf. Groovy and Clover were rescued from the Oklahoma City shelter and immediately became best pals. 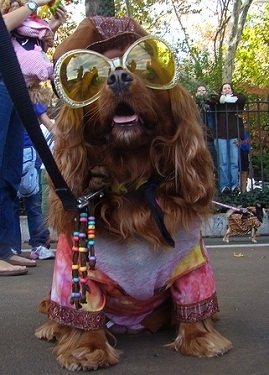 Groovy was found in a box next to a dumpster by a Good Samaritan after she noticed some teenagers suspiciously leave the box and went to check it out. Clover was surrendered by her owners. ​Bunnies are very social animals so we let them spend some time together and they quickly became inseparable. Groovy is quite friendly and will hop right over to you for some attention (or more importantly, romaine lettuce and bananas!). He doesn’t mind being held and I’m sure would continue to become even more social with daily interaction. Clover is social as well, although she’s a little more reserved than Groovy. She is a bit territorial with her food and cage and will occasionally swat at your hands for reaching into her space. She was recently spayed so we do expect this behavior to decrease as her hormones do. Groovy and Clover use a litter box and are improving at using it the majority of the time. They will need an indoor home with a large cage WITHOUT a wire bottom, unlimited access to fresh Timothy hay, Oxbow rabbit pellets, and about two cups of fresh veggies a day. They will each be adopted out with their own personalized bunny sling.